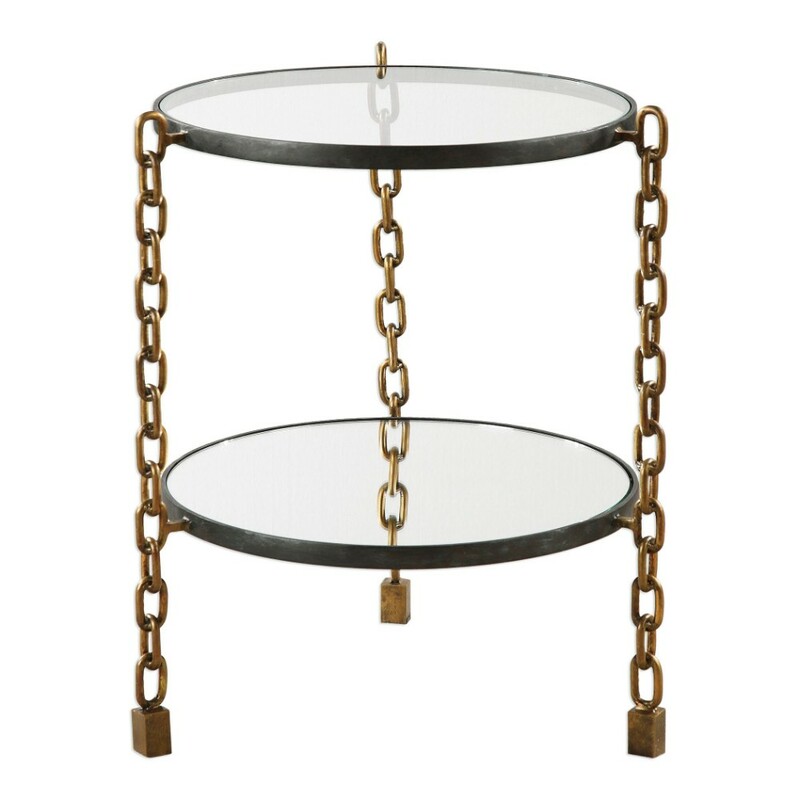 Heavy Iron Strapping In An Aged Steel Finish Supported By Antiqued Gold Chain Link Legs, With Cubed Feet Details. Top Is Clear Glass With A Mirrored Bottom Shelf. Heavy Iron Strapping In An Aged Steel Finish, Supported By Antiqued Gold Chain Link Legs, With Cubed Feet Details. Top Is Clear Glass With A Mirrored Bottom Shelf.